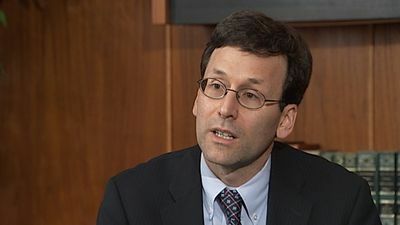 Washington State Attorney General Bob Ferguson officially filed a consumer protection lawsuit on Thursday against a Tennessee-based company that was allegedly behind a failed crowdfunding campaign that failed to deliver on promises it made to those who donated to the project. According to MyNorthwest.com, the lawsuit was the first ever consumer protection lawsuit to involve crowdfunding – a means of fundraising for all types of initiatives that is usually solicited on and is facilitated through internet websites and social media platforms. For those who are unfamiliar with crowdfunding, it begins with a person who has an idea for a product, service or other type of good that has been designed but requires additional funding. In order to receive funding from a “crowd” of people over the internet, the solicitor usually promises some sort of deliverable objective in return for donations. In this particular case, the fundraising initiative was listed on Kickstarter.com – which is currently one of the most popular websites for crowdfunding – by Edward J. Polchlepek, who also goes by the alias Ed Nash. After creating a campaign for a playing card game called Asylum in October 2012, Nash reportedly raised more than $25,000 from more than 800 donors across the country. At least 31 of these donors were from Washington, which is what pushed Ferguson to get involved. Assistant Attorney General Jake Bernstein, who is currently handling the case, says he received several first-hand accounts from unhappy Washingtonians who donated to Nash’s campaign. Although this particular consumer protection case is unique in the sense that it’s the first ever to involve a crowdfunding campaign, Bernstein explained that the legal principles are essentially the same as any other legal action involving a person or entity’s failure to deliver on its promises to consumers. Ultimately, Bernstein’s goal is to get Nash to either fulfill his obligation to the donors, or otherwise to provide them with a refund of their money.